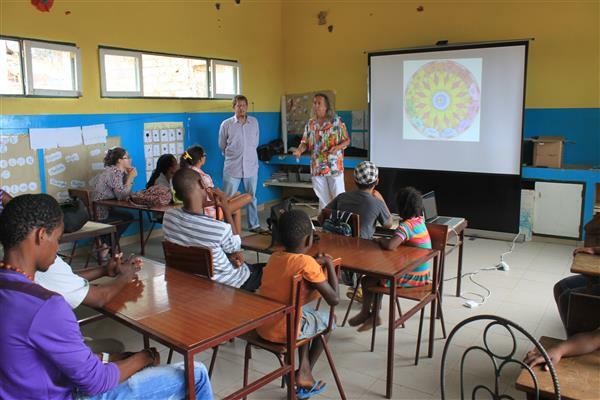 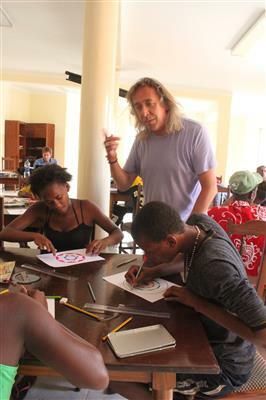 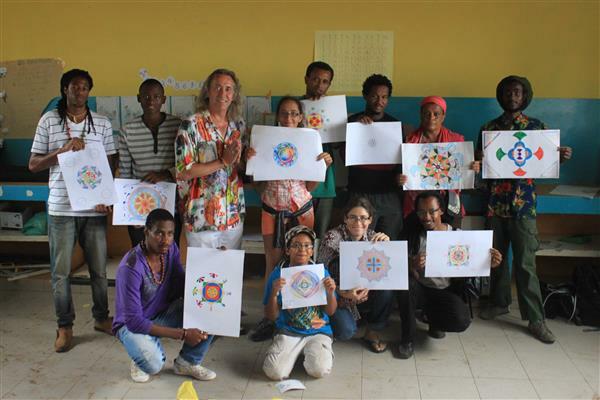 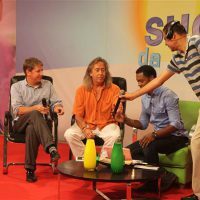 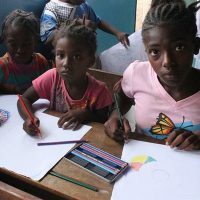 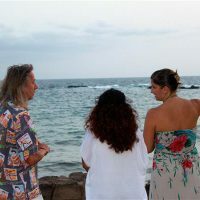 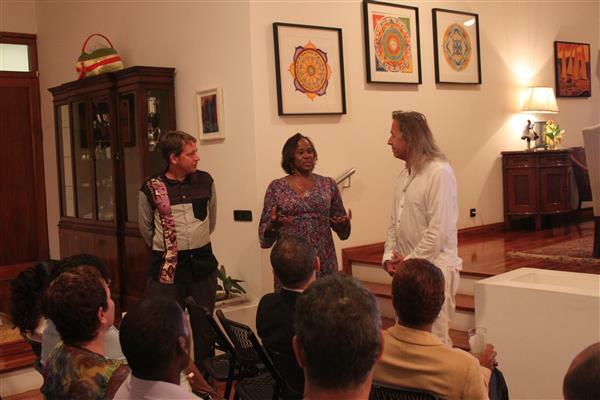 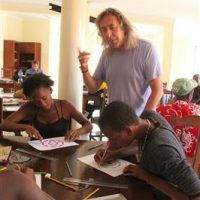 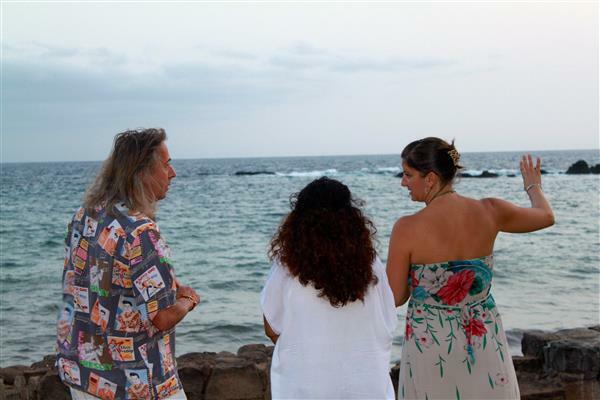 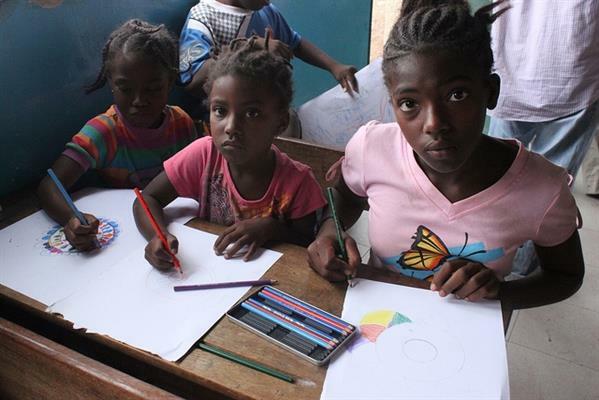 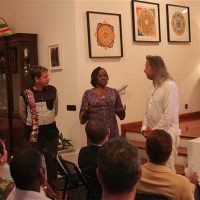 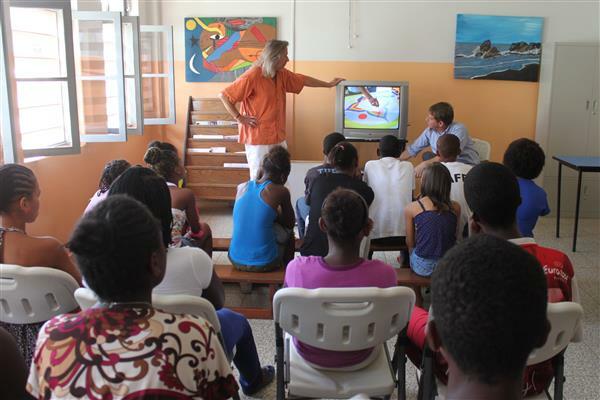 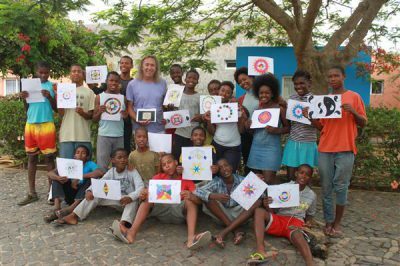 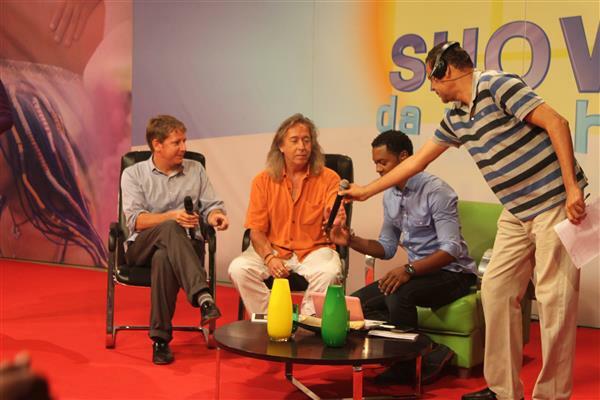 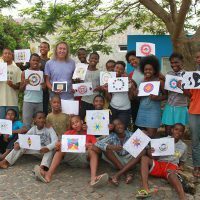 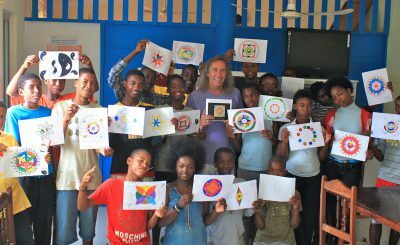 In July of 2013, Art in Embassies (AIE) and the American Embassy in Praia, Cape Verde collaborated on an Artist Exchange with artist Chris Flisher from Boxborough, Massachusetts. 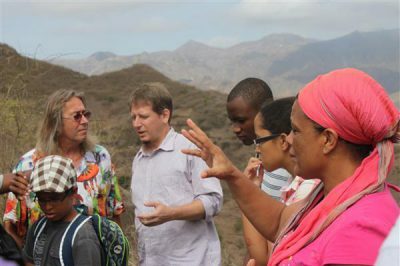 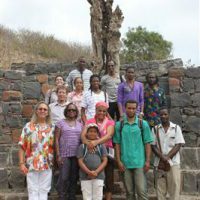 Chris visited Cape Verde from July 8 to July 15 to conduct a series of workshops and presentations at the invitation of U.S. 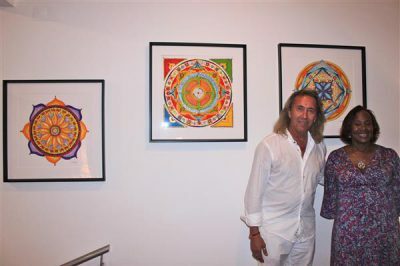 Ambassador Adrienne O’Neal. Three of his paintings were selected for the current art exhibition at Ambassador O’Neal’s residence. 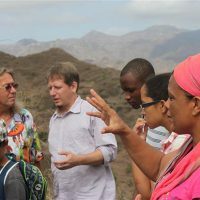 After landing in Cape Verde, on the island of Santiago, Chris met with Embassy staff and conducted an interview with local press. 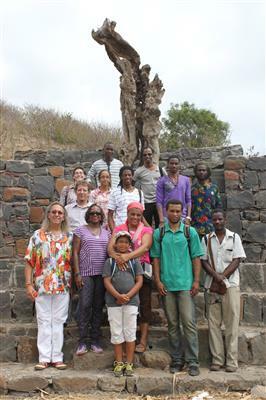 The following morning, a group of local artists and Chris traveled to a remote mountain village about an hour north of Praia, called Porto Madeira, which is also the site of an artist colony led by the artist Maria Isabel Alves–“Misa.” Upon arrival, the group received a warm greeting; they toured the area and viewed the colony’ members works. 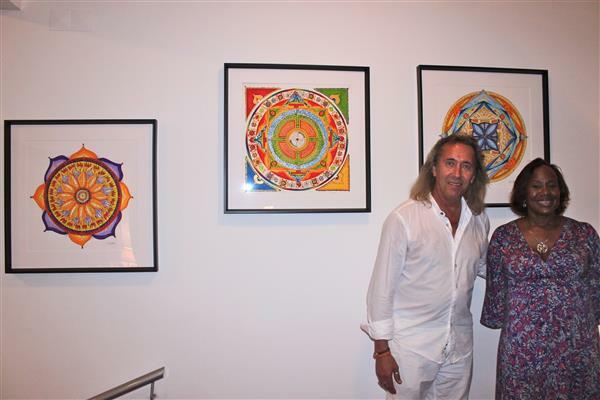 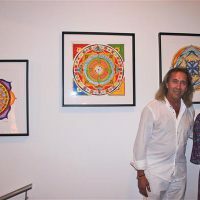 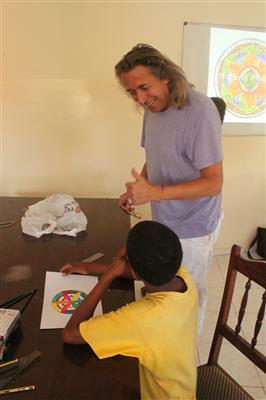 Chris presented an introductory film on his own artwork and mandalas. 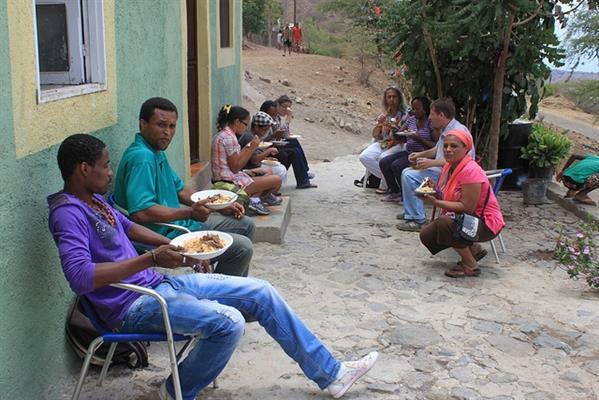 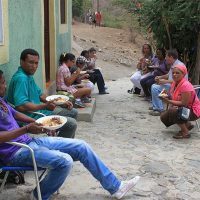 A local family provided a communal lunch. 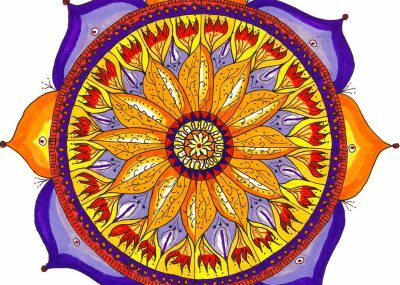 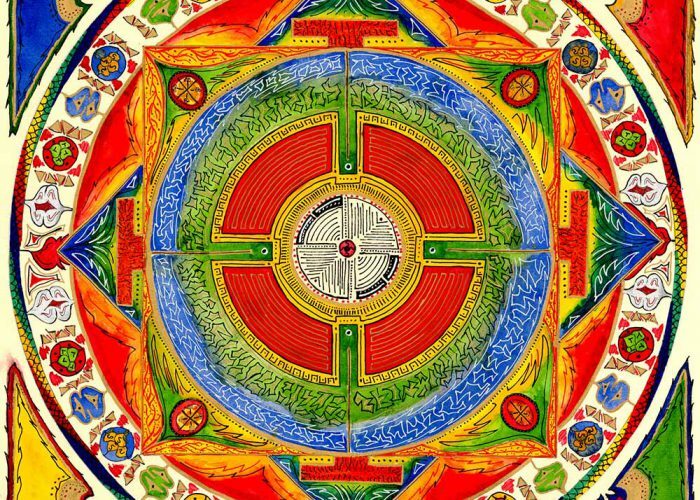 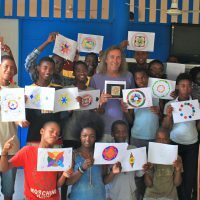 The remainder of the day was spent teaching young art students, ranging in age from 6 to 18, on how to create mandalas using simple, accessible tools. 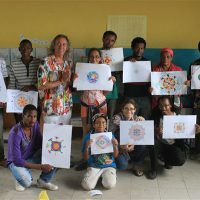 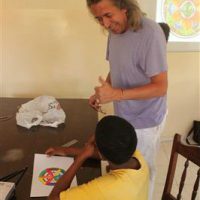 Through the help of a translator, Chris was able to get the basic principles across, and within a few hours, they had created a wonderful array of colorful drawings. 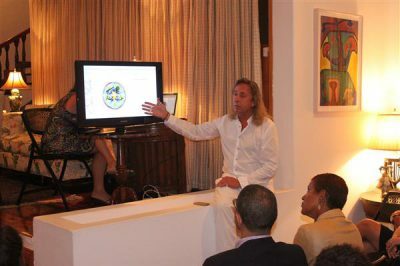 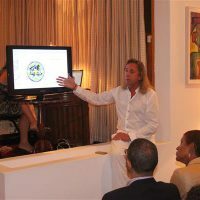 That same evening Ambassador O’Neal hosted a dinner for the artist and representatives from the Cape Verde community, during which the artist gave an overview of his work and his creative process. 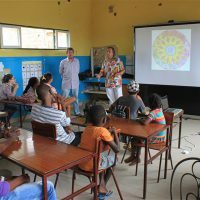 Thursday, Chris traveled to Assomada,about 20 miles west of Praia, to lead a workshop with students at the SOS Youth House for orphaned and foster children. 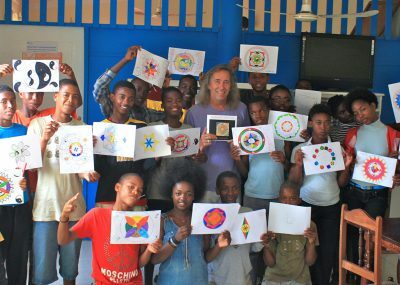 Here, the students’ ages ranged between 12 and 16 years old, and after five hours of working, they had created some great works of art.